All of the teachers at Bright Heart Yoga are highly skilled and extensively trained to offer you alignment-based yoga instruction. This means that the poses you practice will not only be fun and exhilarating, but you will be guided safely into an anatomically sound expression of each pose in accordance with the way the body most optimally aligns for safe and healthy progress. Our classes are characterized by a warm and welcoming approach to the yoga practice, and a fun and empowering take on teaching precise physical alignment. All of our teachers have had training in anatomy and therapeutics and can effectively guide you toward your body’s optimal alignment. Please give us a call if you have any specific therapeutic concerns. Gabrielle first discovered yoga in a high school gym over 20 years ago and has been drawn to the mat ever since. A yoga retreat in 2008 renewed her passion and awoke a spark in this former Wall Street warrior that she didn’t even know existed – not only to deepen her practice but to share its profound benefits with others. This thirst for knowledge led her to Kessiah Carlbon and the Immersion and Teacher Training program right here at Bright Heart Yoga. Gabrielle’s classes blend a warm and uplifting theme along with alignment cues to help everybody find their optimal expression on the mat. Look out, her sense of humor may strike when you least expect it! Her sincerest hope is for everyone to leave her class feeling renewed and refreshed, and to bring those good vibes off the mat and into their daily life. When she’s not teaching yoga, you can probably find Gabrielle tending to her garden, hiking and volunteering with the NY-NJ Trail Conference and playing with her rescue pups Oscar and Gracie. I took my first yoga class as a teenager with my mom but I didn’t stick with it then. Several years later I learned about alignment, anatomy, and philosophy and I realized I was madly in love. I loved that something as simple as moving my body could be a vehicle to feeling inspired and alive. It affirmed so much I had always believed about the world; that life holds beauty and goodness and so do we, that folks are generally good and can realign with that decency whenever we want, and that yoga is a way to remember and experience that every day. Teaching yoga has helped me to reaffirm these suspicions over and over again. In my classes, I weave clear and empowering instruction with ancient philosophy and enough playful groundedness in the everyday to keep you smiling. I'll clearly guide you through specific actions that shift you toward your body’s optimal place so you can move with freedom and joy in your body and your life both on and off the mat. Specific attention to injuries and therapeutics are some of my specialties. I was lucky to train intensely for the past ten years with masters in anatomy, alignment, therapeutics, philosophy, and meditation. One the best parts of my job is teaching the Immersion and Yoga Teacher Training Certification programs at Bright Heart Yoga. I'm also an adjunct faculty member at the County College of Morris where I get to meet people who may never otherwise have stepped into a yoga class. Off the mat, I love human-powered adventure travels, creature snuggles, great food, and great music. I’m always grateful to my wise and wonderful teachers, my dad, Jay, and my mom, Gigi, who first taught me to honor the goodness within myself and in all things. Joanna has multiple yoga teacher certifications totaling over 400 hours of training in both Classical gentle Hatha Yoga and most recently alignment-based yoga taught by Kessiah Carlbon right here at Bright Heart Yoga. Joanna started taking classes at Bright Heart two years ago and was immediately smitten with the challenging poses including handstands and backbends. She combines safe strengthening poses along with breath work & meditation throughout her classes. Watch out for the arm balances that she loves to sneak in whenever appropriate! Although yoga is her passion, Joanna enjoys hiking, running, and spending time with her husband and three children in Mendham, NJ. Karen’s professional experience has brought her into working with people from all walks of life. School teachers, breast cancer survivors, the visually enabled, the hearing impaired, veterans, elders & special needs children. Over the years Karen has participated in grade school & high school enrichment programs & corporate stress reduction education. Karen has also put together health and wellness programs for hospital employees. Karen is a proponent of continuing education and is presently studying Tai-Chi. Her instruction focuses heavily on proper alignment and form. Her classes are safely and mindfully conducted. They also include a sprinkle of humor and spirituality! Karen invites you to come share time and space in a richly rewarding class environment. Laurel has practiced yoga for a number of years since her initial attraction to strengthen and protect her back after an injury. Inspired by Kessiah Carlbon, she deepened her practice and obtained her yoga teaching certification at Bright Heart Yoga. 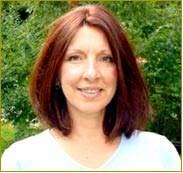 With a formal education in traditional and integrative nutrition and healthcare, Laurel believes that a healthy yoga practice rejuvenates the mind and body and can benefit everyone. She uses breath to center, balance, strengthen, and lengthen as a way to first focus awareness from within, then expand and become more fully present. Classes are lead with warmth, humor, and a spirit of abundant generosity. Laurel’s goal is for everyone to blossom in their practice and individuality with honoring themselves both on and off the mat. Laurel enjoys a variety of outdoor activities, time with her amazing daughter and with her handsome horse. Megan began her journey with Yoga over 10 years ago, when a friend invited her to her first class. From that point forward, Megan fell in love. Yoga was the perfect complement to running, snowboarding, and various sports. It kept her active but also helped to unwind and recover her body. Since then, she has devoted her time to exploring and studying the multi-facets of Yoga especially the calming effect it has on the entire body after a strong practice. Megan has completed her 200 hour Yoga Teaching Certification from Bright Heart Yoga in Randolph, NJ. She has completed numerous immersions and trainings and constantly seeks more knowledge by attending local yoga classes, continuing education trainings, and up keeping her “home” yoga practice. Megan has taught Yoga to many different levels from beginners to tri-athletes and marathon runners. Megan’s passion is to help others feel comfortable and confident in their own bodies as they surprise themselves with their full potential! Her intention for each of her students is for them to unfold their own strength and inner goodness with grace. Megan is forever grateful for her teachers, family, and close friends who have guided her into alignment within her own life on and off the mat. Through a near death experience, Meg has set the intention to take advantage of what she sees as a second chance by sharing what helped her heal physically and mentally. Through the lens of yoga and yoga’s ancient teachings, she creates a personal and relatable yoga voice. Once led to consciousness you cannot blind yourself from healthy, mindful, and compassionate living on and off your mat. Meg teaches an alignment, Vinyasa focused yoga class, from a 500 hour Teacher Training background at Jaipure yoga studio in Montclair. Russ was already a beloved member of the fitness community long before he received his yoga teacher certification in 2008. He brings a sweet balance of alignment, stamina and quick wit to his dynamic teaching style. Pay attention, Russ’s sense of humor is subtle but well played. Russ continues to deepen his background in yoga, completing the 16 hour 101 training course in 2011 and 36 hour Immersion Part 1 in 2013 with Kessiah Carlbon here at Bright Heart Yoga. When he isn’t teaching yoga, Russ is also a professional pastry chef and enjoys maintaining his own physical exercise routine. Stacy was brought back to yoga by a close friend in 2007. She was drawn to yoga in search of stress relief from a demanding corporate job and healing an injury. After several years experiencing relief in restorative and active practice, she was looking for a more in-depth yoga experience. In 2013, she found the Immersion program with Kessiah Carlbon right here at Bright Heart Yoga and felt like she was home. The Immersion led to a desire to share yoga with others, and she completed the Bright Heart Yoga Teacher Training in 2014. Stacy wants her students to have the best experience possible and offers lots of yoga props to enable them to explore the poses and melt away stress. Restorative is her favorite form of yoga and she loves sharing the sense of peace and calm that can be achieved with this more passive practice. Valeriya started practicing in 2014 and was automatically drawn to how quickly she saw a transformation in herself. After graduating college, she was indecisive about her next step so her mom suggested she take a yoga class. Because of her quick love for this practice and immediate connection she went on to complete teacher training with Emma Magenta at South Mountain Yoga in 2017. Valeriya is very thankful for her teachers that helped her get where she is today especially Emma Magenta and Sarah Ehnert.